Can I Still Run If I Feel Sick? We get it. You have a running schedule and today you are planning to run 12 miles but this morning you woke up feeling like you should stay in bed. You feel like you should tough it out and go for that run so you can log your miles and still be progressing, but what if taking that run will only leave you in bed longer? Before moving on to the ways to tell if you can still go for a run or not, just remember that you are sick for a reason. You don’t feel good for a reason. Your body is working to fight something off and maybe you should just let it do that. However, if you think you can fight through it or should we say run through it, then read on. Here are some ways to check in with yourself to see if you should still go for that run or not. If your symptoms are congestion related, like a runny nose or coughing, you are usually safe to go for that planned run. In fact, you could feel even better after a run and rest. You probably shouldn’t try and run all out or try to make any PR times. 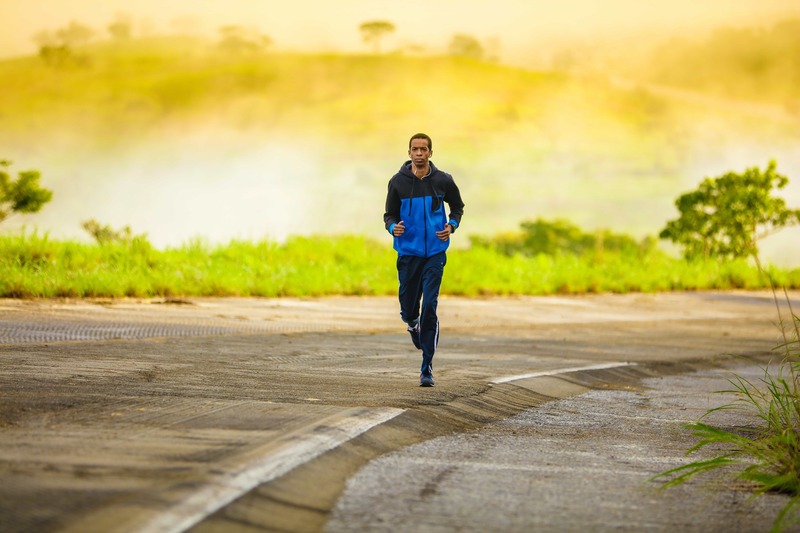 If your goal is to get the miles in, then go ahead and get them in but at a slower pace. The accomplishment is in getting it done not about how long it took you. If you are feeling really flu-like, hotter than usual or have achy muscles, this is when you should miss your run. Running makes your body sweat, which increases your internal temperature—and that is certainly not good when your body is already hot. Running with a fever is not only dangerous but will significantly prolong the time it takes you to get back to normal. Running also compromises the immune system. After your run, your body will be more susceptible to the bacteria and viruses already causing you to feel sick, therefore any fighting your body was successfully doing will now backfire and most likely your symptoms will take a turn for the worse. All in all, you should listen to your body and not try to fight against it just to get a workout in. Easier said than done but missing a day or two of running will not make or break your fitness plan. Plus, it takes at least 10 days to lose significant running gains that you have worked hard to accomplish, so if you need more than a couple days off to feel better than allow yourself to do that.